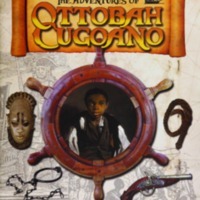 The Adventures of Ottobah Cugoano is a book written for young readers, written by Marcia Hutchinson and Pete Tidy, and published by Primary Colours as part of the Freedom and Culture 2007 initiative. Ottobah Cugoanao was an African abolitionist, captured in 1770 in Fante (present-day Ghana) and sold into slavery. He was eventually made free and baptized John Stuart in London. 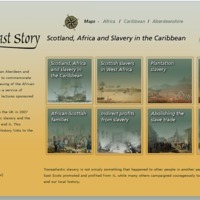 Stuart became active in Sons in Africa and through his publications campaigned for abolition. A Key Stage 2 and Key Stage 3 Teaching Pack was produced to accompany the adventure story, written by Marcia Hutchinson, Pete Tidy and Shazia Azhar, with a foreword by David Lammy MP. 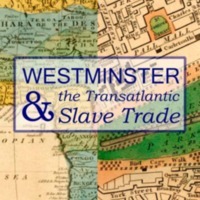 An exhibition by the City of Westminster Archives Centre focused on the impact of the transatlantic slave trade and its abolition in Westminster, which drew on the Centre's archives and local studies collections. Links explored included the parish of St Anne's Westminster with St John's Antigua, and the large circle of planters living in Marylebone in the 18th and 19th centuries. The exhibition also documented the lives of the African residents of Westminster during the age of the slave trade. 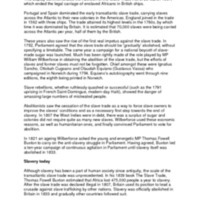 Some of the individuals looked at in the exhibition included James Somerset, Granville Sharp, Ignatius Sancho, Ottobah Cugoano, Olaudah Equiano, and the African activists who styled themselves 'Sons of Africa'. 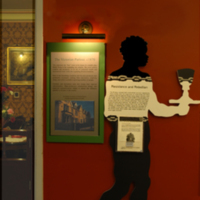 This small exhibition at Norwich Castle was part of the Norfolk's Hidden Heritage project. It included portraits of Norfolk-based Thomas Fowell Buxton, who was instrumental in the cause for abolition of British colonial slavery, and Amelia Opie, Norwich poet, author and anti-slavery campaigner. The exhibition also featured rare decorative items from the Castle collections relating to the consumption of tea and sugar, and 18th century books loaned by the Norfolk Heritage Centre. An events programme included lunchtime gallery talks and school activities. The Buxton Memorial Fountain was built by Charles Buxton to celebrate the Slavery Abolition Act of 1833 and the achievement of his father, the abolitionist Thomas Fowell Buxton, and his associates who led the parliamentary campaign to abolish slavery. 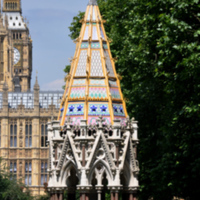 The memorial fountain was built in Parliament Square in 1865-6, and re-erected in Victoria Tower Gardens, Westminster, in 1957. Following extensive restoration by The Royal Parks, the memorial was unveiled on 27 March 2007, to mark the bicentenary. The listed monument was also upgraded from Grade II to II* in 2007. 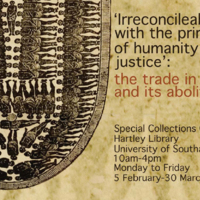 In collaboration with the Peterborough branch of the African Caribbean Forum, Peterborough Museum hosted 'Beyond the Bicentennial, 1788-1838: Exploring 50 Years of the Slave Trade'. 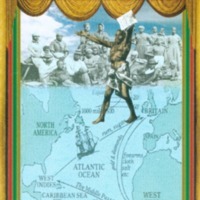 The exhibition's focus was the fifty years leading up to the end of slavery in the British Empire, 1833. 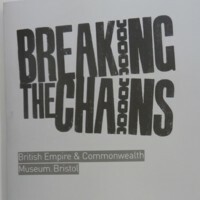 It highlighted museum objects and local connections to the era of abolition, including black communities in Peterborough and links between slave-produced sugar and the rise of tea drinking in Georgian Britain. 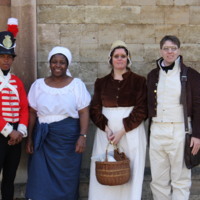 Two special event days included Georgian period re-enactors, historical talks on slavery, African drumming workshops, African food tasting and community displays. 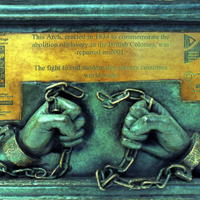 The Anti-Slavery Arch in Stroud is Britain's oldest anti-slavery memorial. It was built by Henry Wyatt in 1834 to celebrate the passing of the Abolition of Slavery Act of 1833. A local businessman and supporter of the Stroud Anti-Slavery Society, Wyatt built the arch as an entrance to the carriage drive of his private estate. Established in 2000, the 'Anti-Slavery Arch Group' raised funds to address the preservation needs of the arch. This community project carried out major stone repairs, added a bronze plaque, produced a leaflet and website, and wrote and performed a play with students from Archway School (built on the site of Wyatt's mansion in the 1960s). In 2007, the monument was upgraded from a Grade II listing to Grade II*.